We participate in local fire prevention open houses annually. 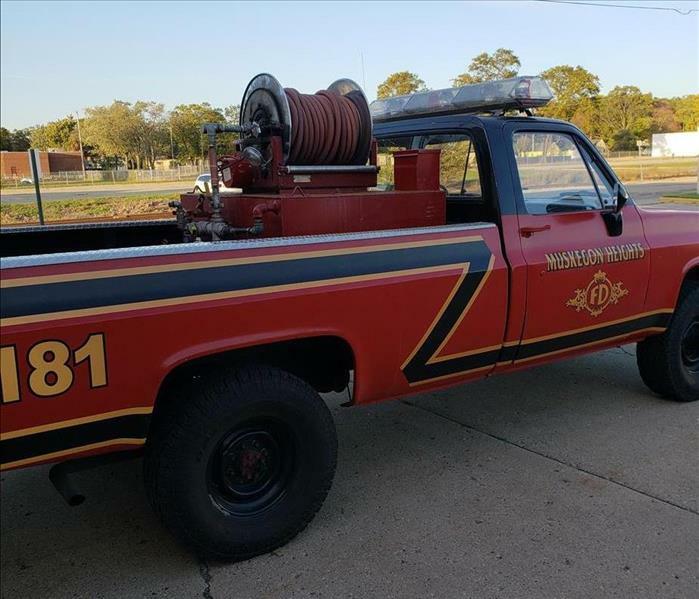 The Muskegon Heights open house took place on October 16th, 2018. These events give us the opportunity to interact with first responders and help educate communities about fire prevention and fire safety! We participate in local fire prevention open houses annually. 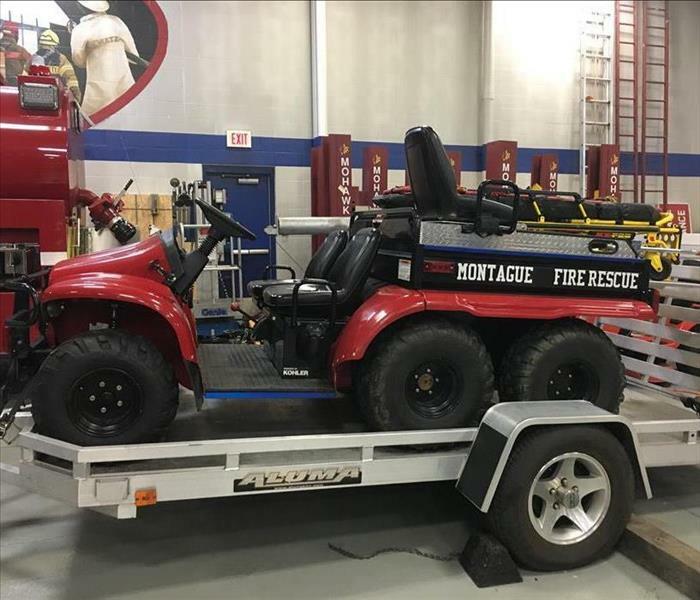 The Montague open house took place on October 10th, 2018. These events give us the opportunity to interact with first responders and help educate communities about fire prevention and fire safety! We participate in local fire prevention open houses annually. 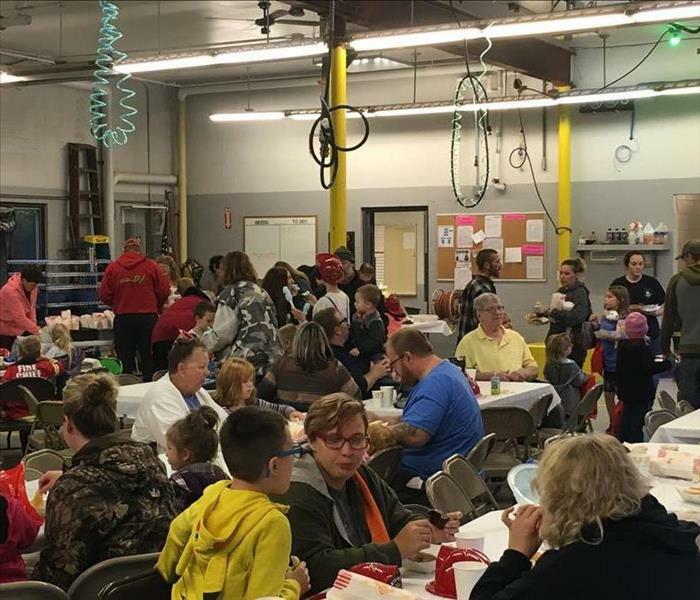 The Dalton Township open house took place on October 10th, 2018. These events give us the opportunity to interact with first responders and help educate communities about fire prevention and fire safety! We participate in local fire prevention open houses annually. The Ravenna open house took place on October 9th, 2018. These events give us the opportunity to interact with first responders and help educate communities about fire prevention and fire safety! We participate in local fire prevention open houses annually. 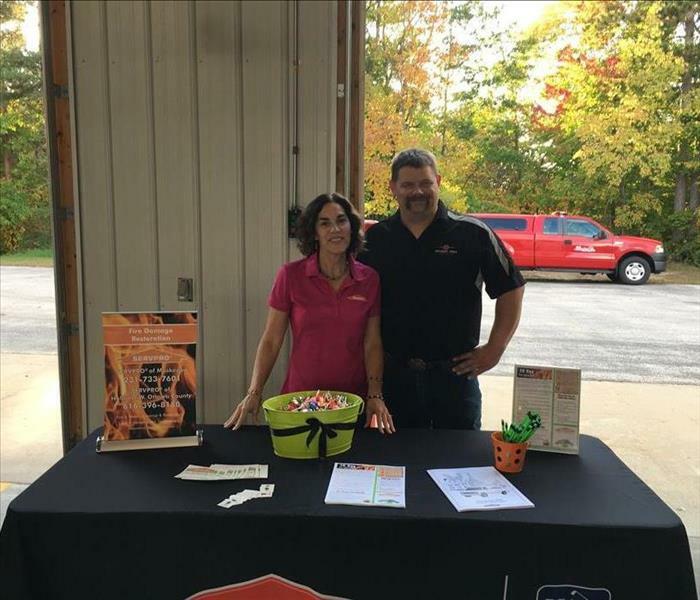 The Egelston Township open house took place on October 2nd, 2018. These events give us the opportunity to interact with first responders and help educate communities about fire prevention and fire safety! We participate in local fire prevention open houses annually. The Muskegon Charter & North Muskegon open house took place on September 27th, 2018. These events give us the opportunity to interact with first responders and help educate communities about fire prevention and fire safety! We participate in local fire prevention open houses annually. The Blue Lake Township open house took place on October 2nd, 2018. These events give us the opportunity to interact with first responders and help educate communities about fire prevention and fire safety! The 2018 MSBO (Michigan School Business Officials) Convention at Crystal Mountain was a blast. We got the opportunity to network with individuals from schools all over the state as well as listen to some great speakers! It is always a blast volunteering at the Muskegon Lakeshore Chamber of Commerce: Chamber Classic. Even through some rainy patches the players still had lots of laughs and even some competitive smack talking! Not to mention the awesome raffle prizes! The weather was beautiful for the 2018 Michigan West Coast Chamber of Commerce Annual Golf Outing. So glad we got the opportunity to support this event at Macatawa Legends! Players were commenting all morning about how their golf game should be "Like it never even happened"! 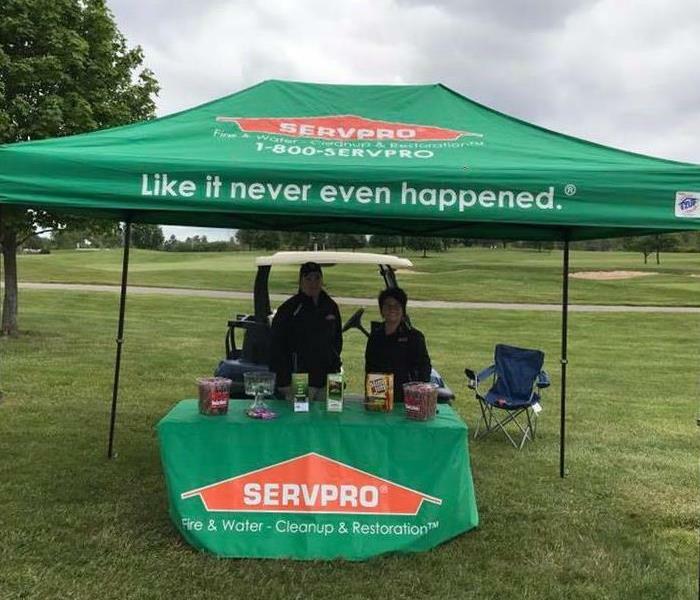 SERVPRO got to be a proud sponsor of Hole #2 at the 2018 Grand Rapids Adjusters Association Golf Outing! 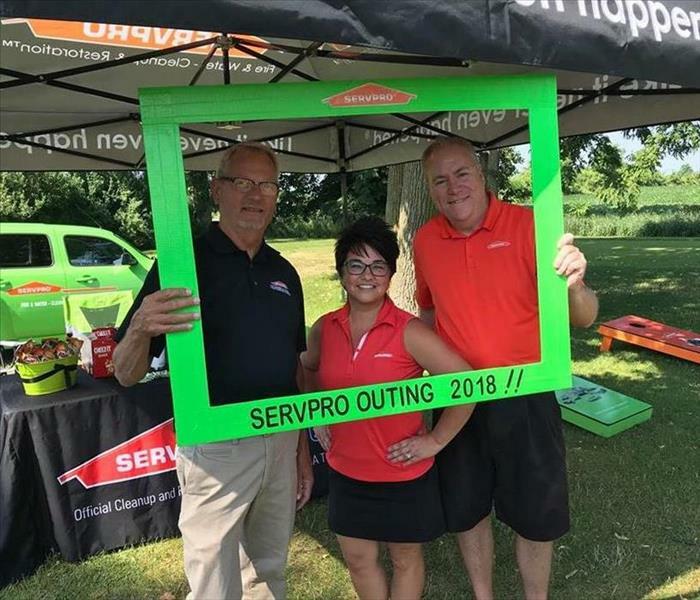 Representing SERVPRO was John Doctor (SERVPRO Swsenw Grand Rapids), Steve Smith (SERVPRO of NE Grand Rapids), and our very own Colleen Gibson (SERVPRO of Muskegon)! 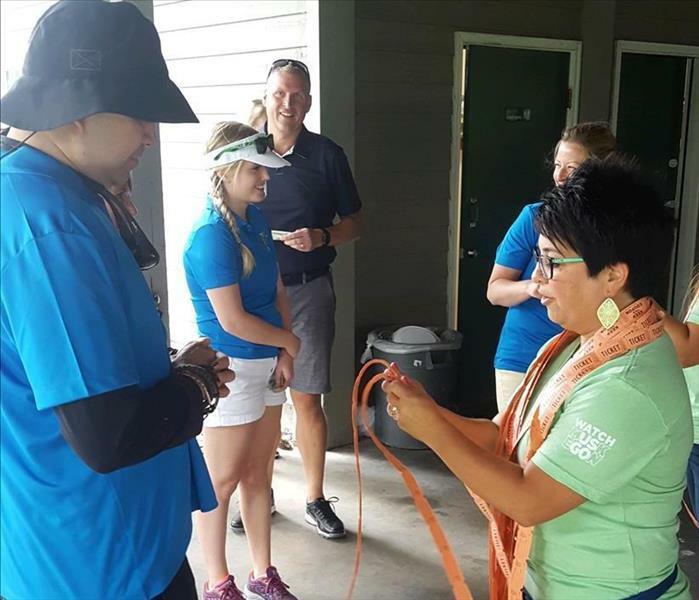 The outing was in recognition of Sandy Theisen, the former president of the association who passed away after a battle with breast cancer in July of 2017. 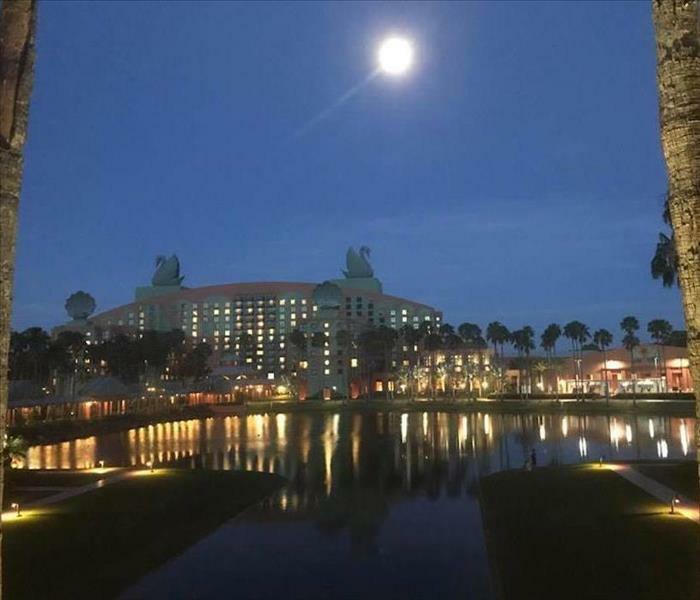 The 2018 SERVPRO Convention was held at Walt Disney World Swan and Dolphin resort. What a gorgeous venue with beautiful weather! 20th Annual SERVPRO Golf Outing! Sunny & 78, Simply Perfect! Cheers to the Agents, Adjusters, Property Managers and Contractors that were able to attend this year! 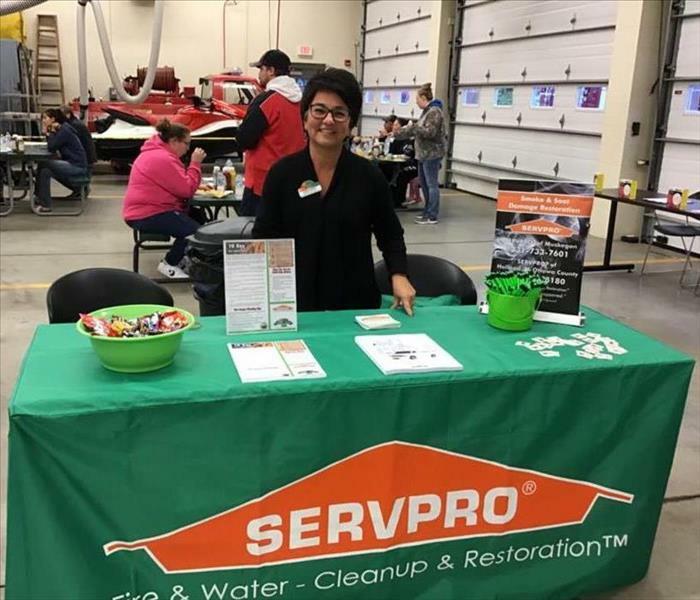 "THANK YOU" for putting your trust in SERVPRO of Muskegon! 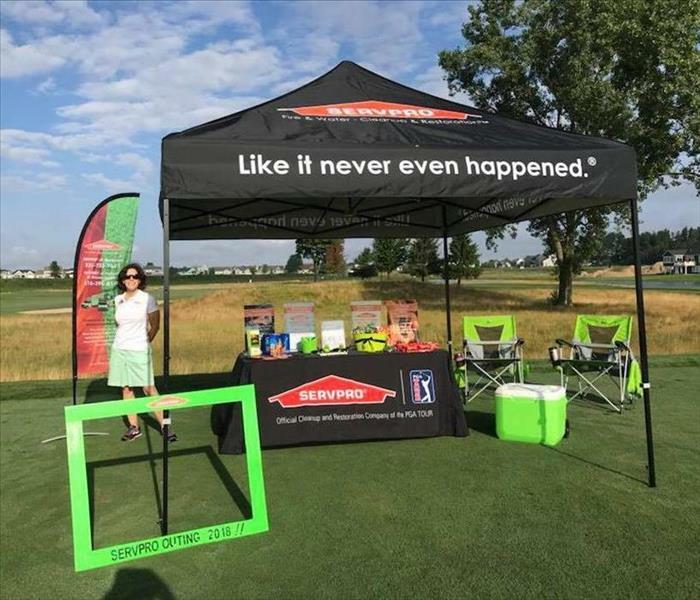 SERVPRO of Muskegon proudly supports the MAA's Lynn Margarit Memorial Golf Outing held at Moss Ridge Golf Course in Ravenna, MI on May 25, 2017. Attended the MSBO (Michigan School Business Officials) Conference Vendor Show April 2017 at the Amway Grand Grand Rapids, MI. While there, I had the privilege to attend a luncheon where an inspiring speaker, Manny Scott, was able to share with us his story. Would be my hope that not only every TEACHER but every business owner, manager, team leader, mentor could "be the exception". You never know who's life you are effecting. The Muskegon Lakeshore Chamber of Commerce’s annual “E-Awards” recognizes the Lakeshore’s most innovative entrepreneurs. A luncheon event celebrating Muskegon’s entrepreneurial spirit was held on April 19 to recognize eleven Entrepreneurs of Excellence that have made a lasting impact on the community. During the luncheon, Rob Riegler from Lakeside Surfaces was named Muskegon’s 2017 Outstanding Entrepreneur of the Year. The Muskegon Lakeshore Chamber of Commerce has a long history of recognizing innovative business leaders and has awarded an outstanding entrepreneur(s) each year since 1982. The awards program was recently rebranded and reinvented to better highlight the Lakeshore’s many successful entrepreneurs and showcase the rich foundation of entrepreneurial spirit in the Muskegon business community. The entrepreneurial stories of this year’s Entrepreneurs of Excellence was shared at the Annual E-Awards Luncheon. These awardees were chosen by a committee comprised of past Entrepreneur Award winners. 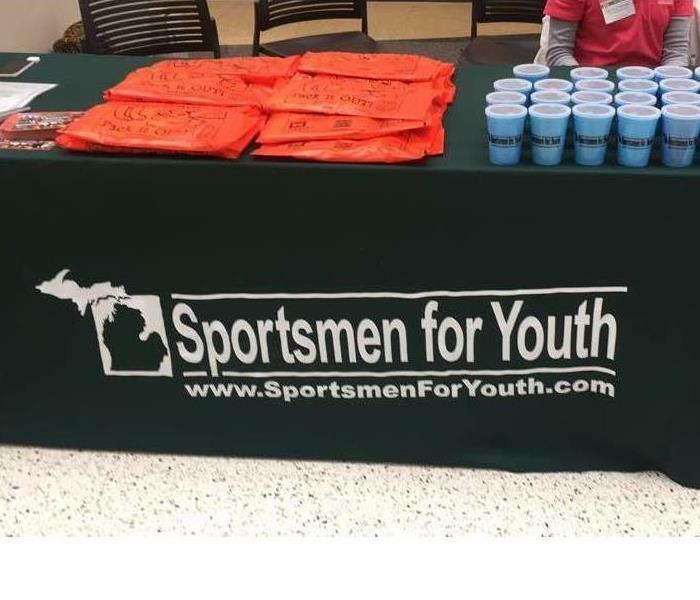 Sportsmen for Youth/Muskegon County Fire Prevention Committee members volunteered at this years Ultimate Sports Show at the DeVos Place on March 19 to had out FREE t-shirts, cups and information about this years Sportsmen for Youth event held annually the first Saturday after Labor Day rain or shine. 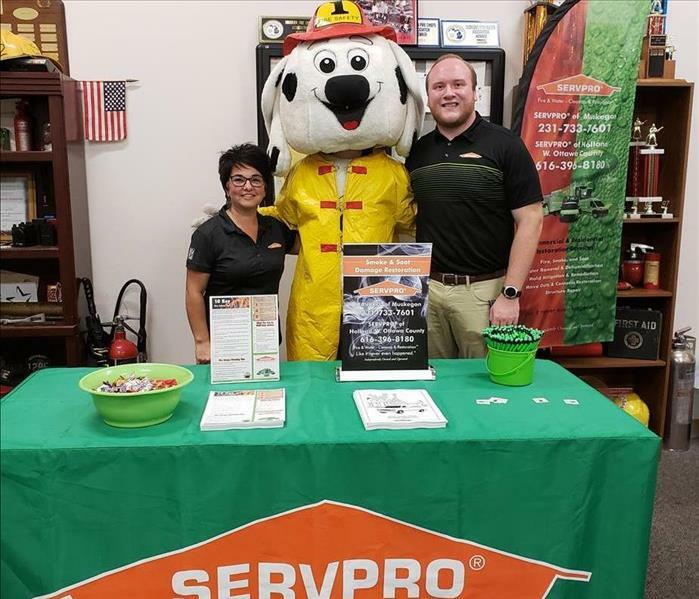 SERVPRO of Muskegon is a proud sponsor if the Sportsmen for Youth event and a member of the Muskegon County Fire Prevention Committee. 2017 MAIA (Michigan Association of Insurance Agents) Convention Expo was a success! Congrats to Brenda from Holt-Dimondale Agency on winning the Apple iWatch courtesy of some of our SERVPRO local franchise professionals. Congrats to one of our very talented crew chiefs, Mike Hoekwater, on a First Place Win at the Winterfest "Adult Altered Images" photo contest! Your talent is evident in the photos you submitted in this year's contest! 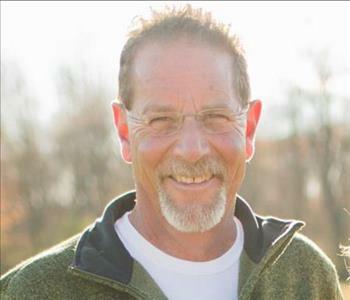 SERVPRO is proud to call you one of our own! Recipients attended the Holiday Dinner and were most appreciative of this year's gifts. SERVPRO is a proud supporter and golf committee member of the Muskegon Adjuster's Association. This years Ambassador Conference was held in Ann Arbor MI with a special trip to the BIG HOUSE where this picture was taken!! 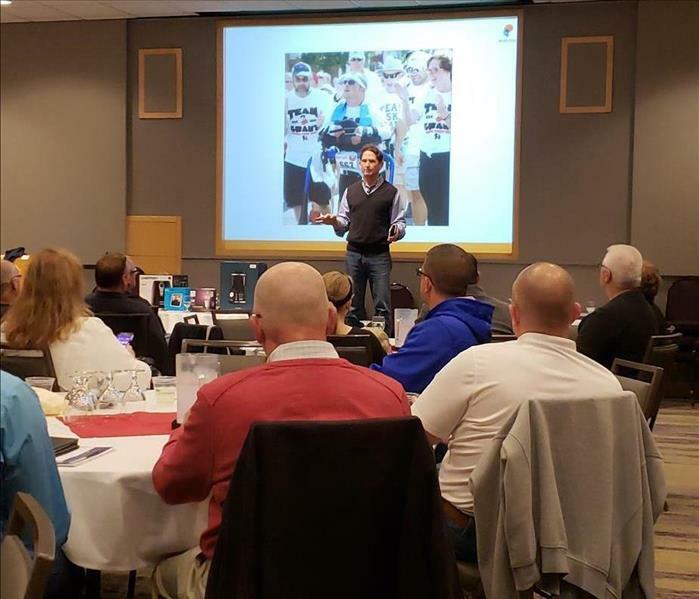 Multiple chambers are represented including The Grand Haven, Spring Lake, Ferrysburg Chamber of Commerce, Muskegon Lakeshore Chamber of Commerce, Michigan West Coast Chamber of Commerce, and the White Lake Area Chamber of Commerce. 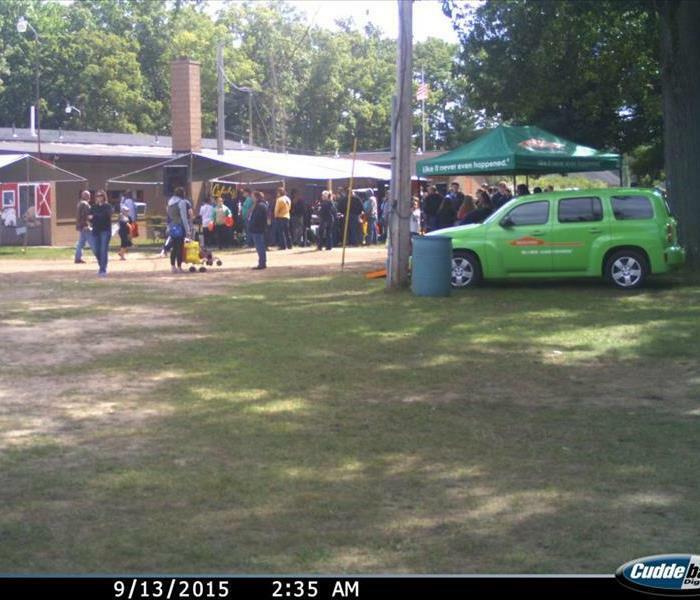 SERVPRO of Muskegon & Holland/W. Ottawa Co. is a proud supporter and participant of our local chamber of commerce locations. 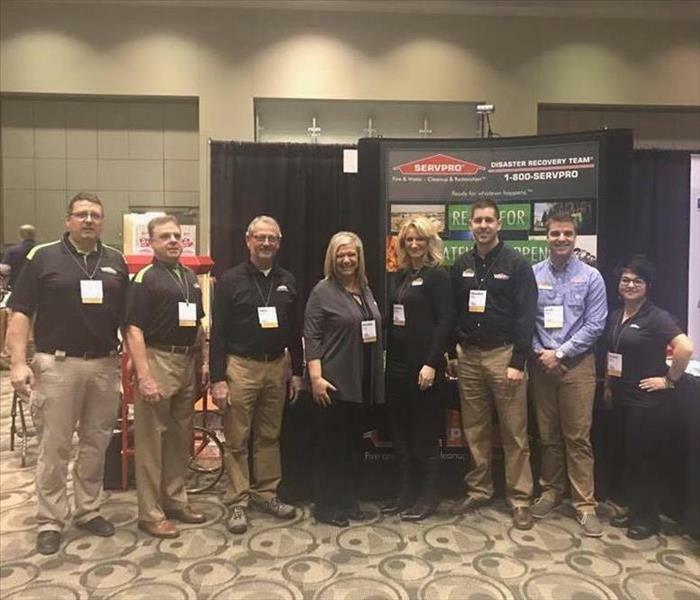 The Auto Owners CSR Convention was extra special for SERVPRO Franchise Professionals because this year we are able to share with our customers that SERVPRO is now a Preferred Vendor with Auto Owners! 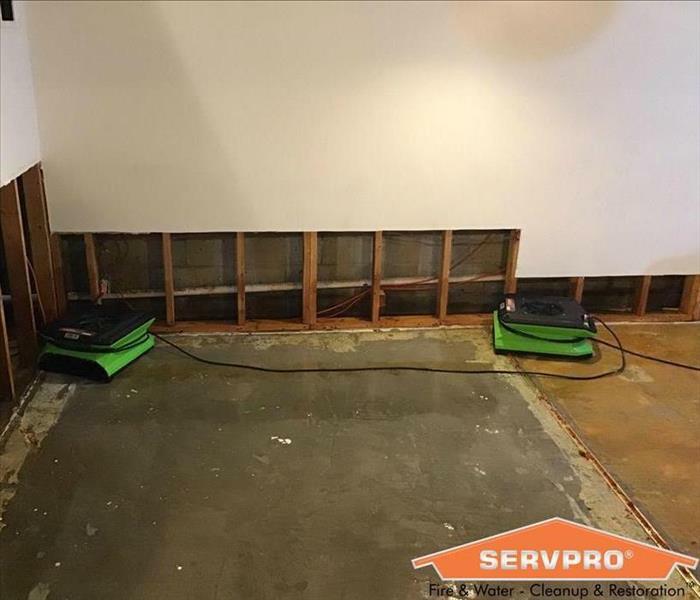 Our customers were very excited to hear the good news even though most of them have a SERVPRO in their area that they were already using as their restoration provider. Thanks again for your continued support and loyalty to SERVPRO. Each year our member organizations and many volunteers team together to create a one day outdoor extravaganza where kids of all ages are able to experience the outdoors and its many opportunities. This ABSOLUTELY FREE day provides activities, demonstrations and information from each of our exhibitors. Prize drawings, lunch and a memento from the day are also provided for all youth (17 yrs & younger) in attendance. In previous years over 2500 youth and 2000 adults in ONE DAY between 9am and 3pm, have enjoyed this event. 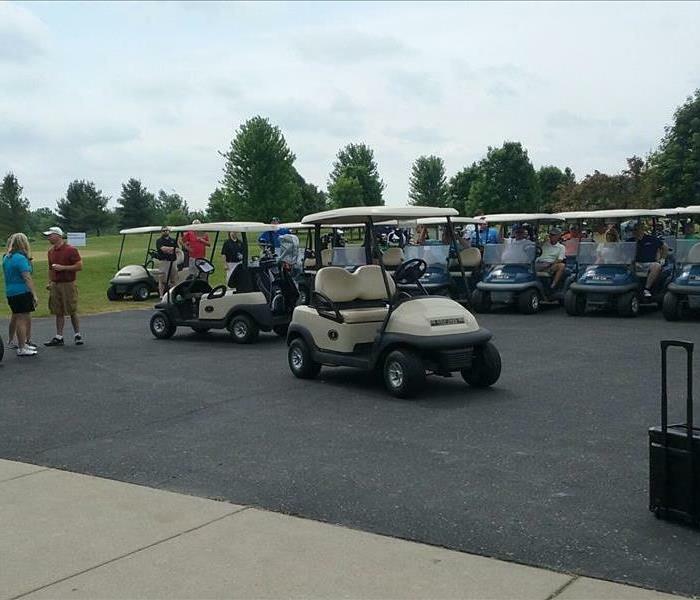 What better was to Thank our Agents, Adjusters and Contractors for doing great business over the last year than with an All-Inclusive Golf Outing! Over 140 in attendance on this gorgeous day in June!! Can't think of a better way to spend the afternoon than out on the course! 126 Golfers attended this years 59th Annual Lynn Margarit Golf Outing with the Muskegon Adjuster's Association at Moss Ridge Golf Course. Special Thanks to all 38 Tee Sign Sponsors and for those that donated door prizes to be given out at the dinner. 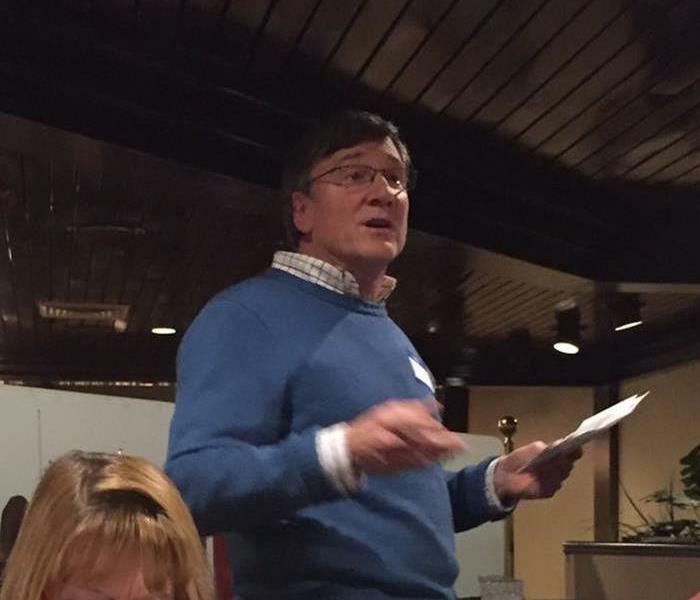 Muskegon County local charities are appreciative. Over the years, we have given more than $120,000! SERVPRO proudly supports the MTFD Fire Fighters Auxiliary with this wonderful Chili's Fundraiser. Bring in the voucher and Chili's will donate 10% of the bill to the event on May 11, 2016 from 11am to close. Please make Chili's your lunch or dinner destination and support this giving group. With hundreds in attendance at this years 78th Annual Michigan School Business Officials Conference, SERVPRO was a proud platinum sponsor. It was great to network and support our business officials but most of all to share our Emergency Ready Plan for life's natural disasters to help minimize losses. This year we teamed up with Hi-Tec Building Services and Nichols for a Hospitality Party featuring the Jake Stevens Band who were absolutely amazing! This years Chamber Ambassador conference was in Dearborn MI with a lot of the activities held at the Henry Ford Museum. SERVPRO of Muskegon & Holland/W. Ottawa Co. has two employees (Kim Mulder and Colleen Gibson) attending the conference. Our transportation to the reception were in the old time muscle cars. This picture includes Ambassadors from the Grand Haven, Spring Lake, Ferrysburg Chamber of Commerce and the Muskegon Lakeshore Chamber of Commerce. Biohazard kit assembly line! 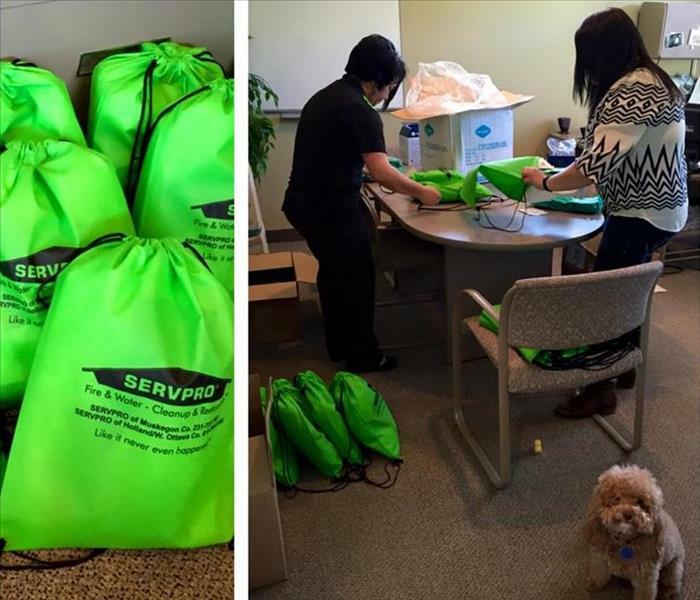 Putting SERVPRO biohazard mobile kits together for some of our favorite Policemen and women! Stella is doing a great job supervising! 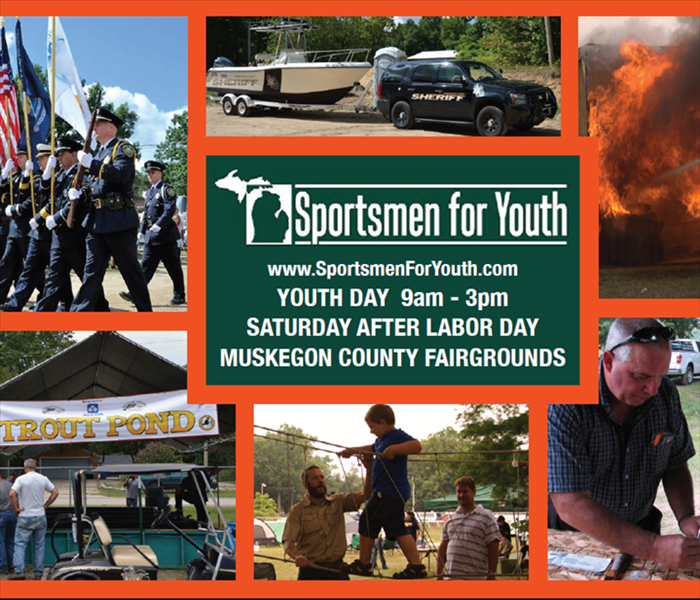 The Muskegon County Area Fire Prevention Council is urging Muskegon County residents to “Hear the Beep where you Sleep” with a special county-wide Fire Prevention Open House & Sportsmen for Youth event on Saturday, September 12, 2015 from 9 am to 3 pm. This years campaign focuses on ways to keep homes and their occupants safe and prevent fire related deaths. 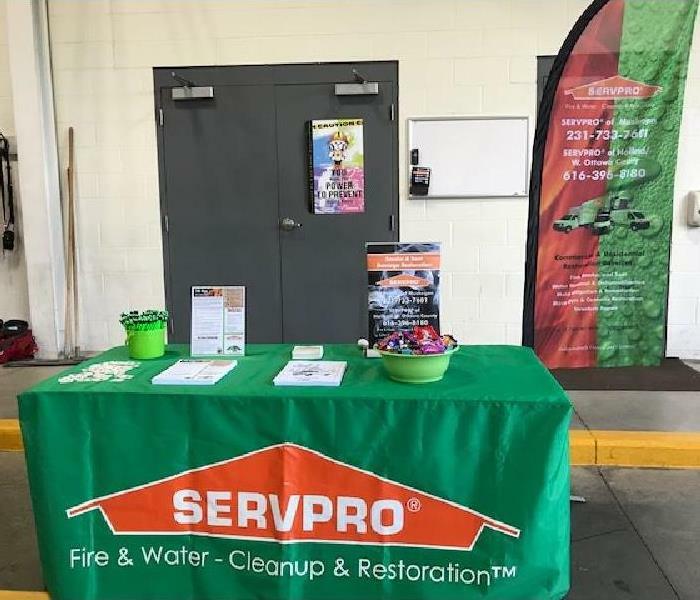 And don't forget to stop by the SERVPRO tent to say hello!